SafetyNet is a safety management solution that employs artificial intelligence and predictive analytics to help keep organizations ahead of workplace disaster. By recording data from inspections and on-site observations, users can get actionable insights with leading indicators and predictions on potential risk in real time. The platform serves all high hazard industries such as heavy manufacturing, power generation, oil/gas, and the construction industry. 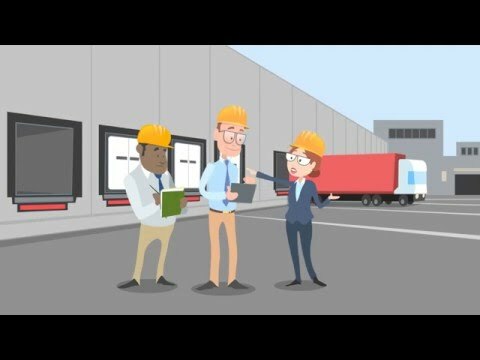 SafetyNet enables data collection via mobile devices such as smartphones and tablets, as well as scanners, computers, and paper forms for safety inspections and observations from job sites. The mobile app allows the collection of workplace data in real time, enables both online and offline modes, and leverages other mobile device functionalities to add detail to data such as the camera for photos, date/time stamping, and voice-to-text dictation. The mobile app automatically syncs all observations with SafetyNet in order to perform advanced and predictive analytics on collected data. Organizations are able to configure the SafetyNet platform to match the company’s safety observation programs by including worksite locations, team members, checklists, and other relevant information. Severity levels and comments can be added to reports during inspections, and specific items can be marked for follow up. Users can assign actions, due dates, and responsibilities to individual users. All observations can be uploaded to SafetyNet with a click, ensuring real-time data availability. Observers and inspectors can be provided with access to feedback in real time to ensure quality data is being collected. It is a great tool to conduct on-the-jobsite observations directly from your phone and computer. The SafetyNet Incident entries provide a great way to access all of your incidents in one location. The Monthly Data option is a great tool that works well with the OSHA 300 logs. My hope is this data option will be updated to incorporate the new upcoming OSHA 300A changes. The QR code tool is a great addition to the software. We especially use it because we have jobsites that we work at across the USA. The new Smartwork program within SafetyNet is not user friendly. It is very difficult to use the Analyze Tool when creating dashboards and widgets to gather information/predictability. The Collect Tool within Smartwork seems like a good tool, however once the data is entered in to the system pulling up that data information is difficult. You have to go back and forth from the Collect tool to the dashboards within the Analyze tool to receive the data information needed, which makes it very cumbersome. Predictive Solutions has transformed our Safety Department & project teams ability to document safety audits. I am able to use the audit data to trend issues and focus attention where needed. The layout is such that it is easy to organize and find issue items. Automatic reminders for open issues. The ability to aggregate data project wide and company wide. The layout is such that it is easy to organize and find issue items. Automatic reminders for open issues. The ability to aggregate data project wide and company wide. You can make it too cumbersome if you are not careful. Ability to drive for greater information in trends that are occurring in our company and the ability to look for ways to improve before an incident occurs.Tremendous power to incorporate data from many sources. Gives my managers the ability to make real time decisions on actual information. Tremendous power to incorporate data from many sources. Gives my managers the ability to make real time decisions on actual information. There should not be a cost for inspectors thus encouraging further drive and use of the system into the organization. The quick ability to report and track and trend for our executivesThe ease of use for our employees in the field from setting up the app to using the app in the field. The ease of use for our employees in the field from setting up the app to using the app in the field. Contact Predictive Solutions for detailed pricing information. SafetyNet helps predict workplace injuries through advanced and predictive analytics, allowing organizations to put their employees’ safety first. The solution uses customers’ safety inspection and observation data to create leading indicators about future risk, in real time. Users are able to collect important safety data using scanners and computers, as well as mobile devices such as smartphones and tablets with SafetyNet. SafetyNet helps users assess and improve the quality of their collected data for a more reliable analysis. Communicate safety assessment results in real time to those who may be at risk and to those who can take action to prevent incidents and injuries. Below are some frequently asked questions for SafetyNet. Q. What type of pricing plans does SafetyNet offer? Q. Who are the typical users of SafetyNet? Q. What languages does SafetyNet support? Q. Does SafetyNet support mobile devices? Q. Does SafetyNet offer an API? No, SafetyNet does not have an API available. Q. What other apps does SafetyNet integrate with? Q. What level of support does SafetyNet offer?